SAN MARCOS, CA – More than 700 people are expected to lace-up on Saturday, Sept. 29, for the third annual San Marcos Double Peak Challenge, a running event featuring a 10k, 5k and kids trail trot courses that wind through some of San Marcos’ most picturesque locations. North County’s most challenging race will feature a 10K timed race, a 5K untimed event, and free kids trail trot starting from San Elijo Hills Park, 1105 Elfin Forest Road. Runners participating in the 10K Double Peak Challenge will set out at 7:30 am to begin a nearly 1,200-foot elevation gain up to Double Peak’s summit while winding along rugged hillside trails with sweeping views of North County. While the 10K race will be a tough, timed event that will challenge even the most experienced runners, Double Peak Challenge will also offer a shorter 5K untimed course at 8 am and the kids trail trot at 9:30 am. All registered 10K and 5K participants will receive a commemorative Double Peak Challenge completion medal and awards will be given to the top 10K race finishers in each age category. The event concludes with an expo and beer garden that will be located on the lower softball fields at San Elijo Park. 10K race participants over 21 years of age (identification required) will receive a complimentary beverage. Additional drinks can be purchased for $5 each. Race proceeds will benefit the Friends of San Marcos Parks & Recreation, which supports events, programs, parks and facilities for the community, and The San Marcos Promise, a scholarship and career guidance program for students in the local school district. “The funding generated from this collaborative event plays an integral role in perpetuating critical programs that allow students in our community to pursue a rewarding career and set a course for a prosperous future,” said Herbie Smith, Board Member of the San Marcos Promise. Register online at www.doublepeakchallenge.com or in-person on race day at 6:30 am. The race website also provides information about corporate sponsorships that are available along with additional race-day details. Join the San Diego County Sheriff’s Department for FREE Night Out Against Crime© events on TUESDAY, AUGUST 1ST. Sheriff’s Stations and Substations all over the county will be hosting block parties to take a stand against crime. Activities vary by location and may include free food, drinks, giveaways and activities for kids. Night Out Against Crime© is a celebration of community relationships. Meet your neighbors, as well as deputies who patrol your area. All locations will have a Sheriff’s Crime Prevention Specialist on site so you can get tips on how to stay safe. Watch our Night Out Against Crime video at: https://vimeo.com/226476154. If you can’t make it to any of these events, leave your porch light on as a show of solidarity on Night Out Against Crime©. To learn more about the Sheriff’s Crime Prevention Unit, including important safety tips, visit www.sdsheriff.net/crimeprevention. The City of San Marcos will host National Night Out at two locations on Tuesday, August 2 to celebrate America’s night out against crime. The free event will be held at Connors Park, 320 W. San Marcos Boulevard from 3 to 6 pm; the second will be held at San Elijo Park, 1105 Elfin Forest Road from 5 to 7 pm. Both offer an opportunity to meet your neighbors, local sheriff deputies and learn about the City’s crime prevention program. Parents are encouraged to bring their children to one of the two event locations to be educated on good safety habits. The events will offer free hot dogs, fingerprinting, information on neighborhood watch and tips for child safety. There will also be a talking patrol car, games and refreshments. San Marcos National Night Out is in coordination with the 33rd Annual National Night Out, a unique crime and drug prevention event sponsored by the National Association of Town Watch. Last year, more than 37 million people participated in National Night Out across the country in more than 15,700 communities. Along with traditional outside lights and front porch vigils, most cities and towns celebrate National Night Out with a variety of special citywide and neighborhood events such as block parties, cookouts, parades, festivals, visits from local officials, safety fairs and youth events. For more information, please call the City’s crime prevention unit at (760) 744-1050, ext. 3111 or (760) 510-5255. Big Hero 6 will be shown on Friday, June 12th at the upper sports field (Hilltop Field) of San Elijo Park. Pre-show activities (including bounce houses, a sticky wall and more!) will begin at 6:00PM and the movie will start at sunset (around 8:00PM). Remember to bring your low-back beach chairs and blankets for lawn seating! A few food trucks will be there and will have a variety of food & refreshments for purchase. A portion of the proceeds benefit the San Elijo Hills Foundation. email-sehdirector@waltersmanagement.com. For all other Association related matters, please contact the Community Association Manager, Rebecca McDonald, or her assistant Michael Farinelli at 760-431-2522. Did you know…June 21st marks the Summer Solstice, or longest day of the year? It is also the official first day of summer. Come join us on Saturday, June 20th to celebrate the start of one of our favorite seasons! The event will be held from 12:00PM–3:00PM at the upper sports field (Hilltop Field) of San Elijo Park. Activities will include crafts, carnival games, airbrush tattoos, bounce houses, musical entertainment, food, refreshments and other fun surprises! Don’t forget to bring your sunscreen and camera to take lots of fun pictures! 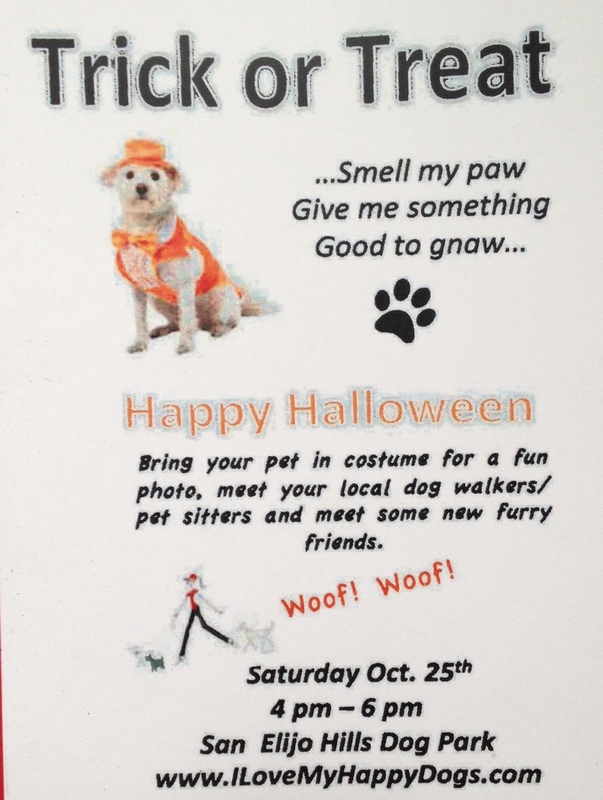 Please note: this event is for San Elijo Hills residents only. If you have any questions about the Summer Celebration or community in general, please contact the Community Director at sehdirector@waltersmanagement.com or (760) 798-9015. San Diegans will now be able to only water their yards twice a week as part of the statewide water restrictions that went into effect June 1st. Houses with addresses that end in odd numbers can irrigate on Sunday and Thursday, while those ending in even numbers can water on Wednesday and Saturday. Any watering can now only be done between 6 p.m. and 10 a.m. for a maximum of five minutes per day. Fines for those found wasting water will range anywhere from $100 to $1,000. For more information, please visit the Vallecitos website. Start off the day at the Fair with a patriotic opening ceremony at 9:30 AM, then enjoy the Hometown Heroes Parade at 7:00 PM, a concert provided by the Navy Band Southwest followed by a spectacular fireworks display. Spring has sprung here in San Elijo Hills! There are still a few spaces available in our Calistoga community garden for rent! Participating in the garden is a great way to work on your green thumb and witness the fruits of your labor as your seedlings begin to sprout! If you are interested in reserving one of the planters, please contact Liz McCardle at sehdirector@waltersamanegement.com. The yearly lease fee is $50.00 (plus a $25.00 refundable key deposit) and the planter is yours until March 31, 2016. Ahoy me mateys! Hoist up your mainsails! San Elijo Hills is calling all pirates for Saturday, July 25th at the upper field of the San Elijo Park (Hilltop) from 12:00PM3:00PM. Activities will include: Pirate Craft Station, Lawn Games, Treasure Hunt, Obstacle Course & bounce houses, Face Painting, Concessions including popcorn, snow cones, and cotton candy. And more fun surprises! The next HOA Board of Director’s meeting will be held on Tuesday, October 14th at 6:00PM in the San Elijo Elementary School multipurpose room. All homeowners are welcome to attend. Agendas will be posted on the community website www.sanelijohills.net prior to the meeting. Oom-Pah! Fall is in the air and our most popular event of the year is back! Come celebrate Oktoberfest with your neighbors on Sunday, October 19th from 3:00PM-6:00PM at the lower softball field of San Elijo Park! Please remember to bring proof of residency to gain entrance into the event (i.e. : driver’s license with on-site address, utility bill, HOA statement, etc.). Unfortunately, we will not be able to allow you to enter the event without verifying residency. No guests will be permitted. We will be celebrating German traditions through food! Bratwurst, hot dogs, veggie dogs, potato salad, sauerkraut, soft pretzels, and apple strudel will be served. A beer garden will also be available to residents 21 and over (must bring a valid state-issued driver’s license or ID). Four drink tickets will be given per household. No outside alcohol will be permitted into the event. Carnival games will be sure to entertain our young residents! We will also have face painting, pumpkin decorating, arts & crafts, a rock climbing wall, bounce house, obstacle course and much, much more! A lively DJ will be playing some German music mixed in with some modern, family-fun hits that will be sure to get you on your feet and dancing! If you have any questions regarding the event or would like additional information, please feel free to contact your Community Director, Christine Cruz, at (760) 798-9015 or email ccruz@waltersmanagement.com. Save the Date! The 12th Annual Neighborhood Golf Tournament will be held on Saturday, November 29th. The San Elijo Hills Foundation is starting to plan this year’s Turkey Classic Golf Tournament and is looking for volunteers and event sponsors. If you would like to get involved, please contact sehfoundation@gmail.com. It’s sure to be a great time! The City of San Marcos will host National Night Out at two locations on Tuesday, August 5 to celebrate America’s night out against crime. The free event will be held at Connors Park, 320 West San Marcos Boulevard from 3 to 6 pm; the second will be held at San Elijo Park, 1105 Elfin Forest Road from 5 to 7 pm. Both offer an opportunity to meet your neighbors, local sheriff deputies and learn about the City’s crime prevention program. The San Marcos Fire Department will also be at the event to provide fire safety information. Parents are encouraged to bring their children to one of the two event locations to be educated on good safety habits. The events will offer fingerprinting, information on neighborhood watch and tips for child safety. There will also be a talking patrol car, games and refreshments. San Marcos National Night Out is in coordination with the 31st Annual National Night Out, a unique crime and drug prevention event sponsored by the National Association of Town Watch. Last year, nealry 38 million people participated in National Night Out across the country in more than 16,200 communities.